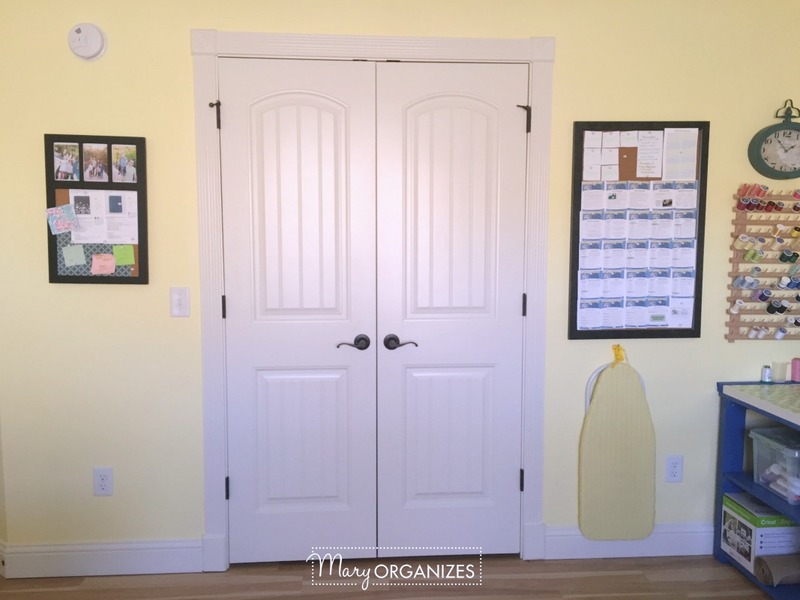 If you want a pretty drastic Before & After, then you can see what this room used to look like when it was a guest room and my office/craft room. (You can see the old Craft/Guest Room HERE.) 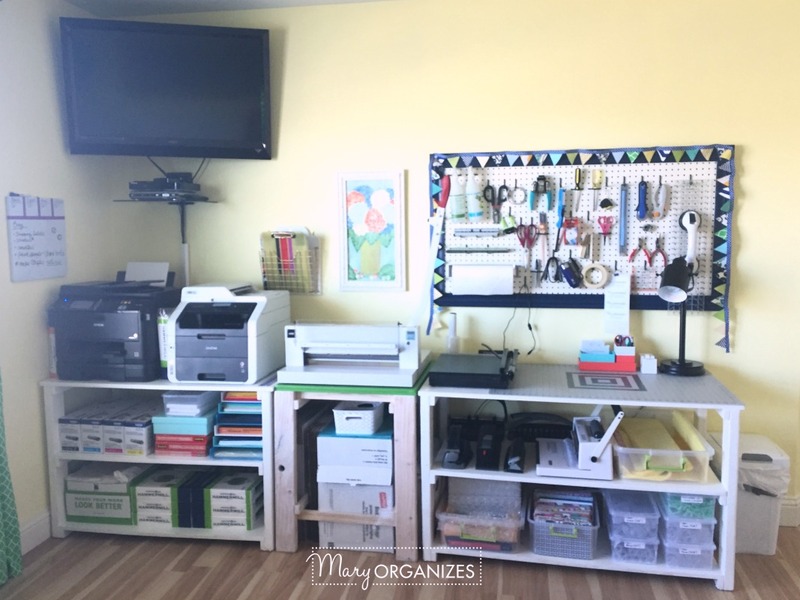 When I started my planner shop, I needed a dedicated space for creating the planners and as soon as my foot healed last year, I started the slow transformation that took months of DIY projects. I am so happy with the result! I love my Studio so much! 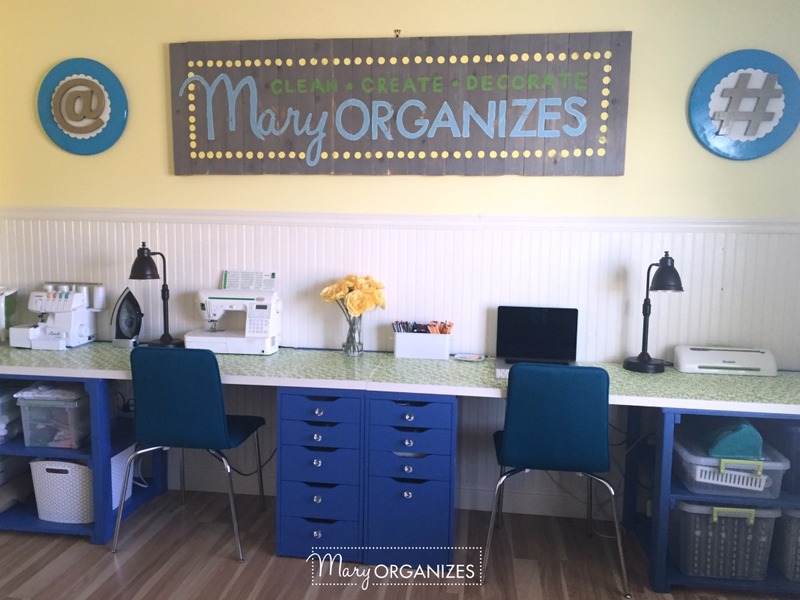 It is where I make planners, write blog posts, and do so much more. We added bead board to the back wall and hard-laminate flooring. I’m so proud of how much of this room we DIY’d! I love the big window in here. When I work during the day, I don’t need to turn on any lights, which just feels good. This little table is where I take pictures of planners for my shop and is also where I do my painting. 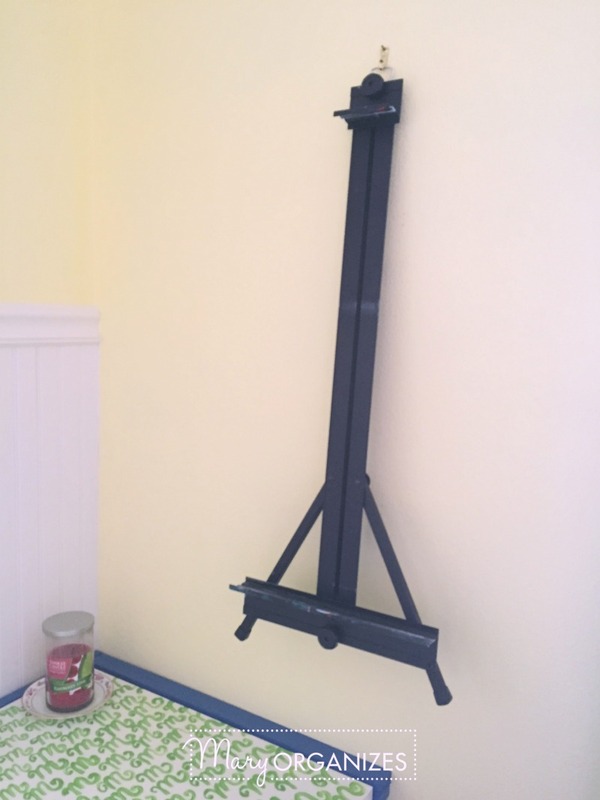 I just cover the table with a cloth and setup an easel – notice the easel hanging on the wall to the left? I like using the wall as storage space for frequently used items. It makes them super accessible but totally out of the way. This pegboard is so convenient in here. Just like the easel on the wall, it uses vertical space to store and make things super accessible. 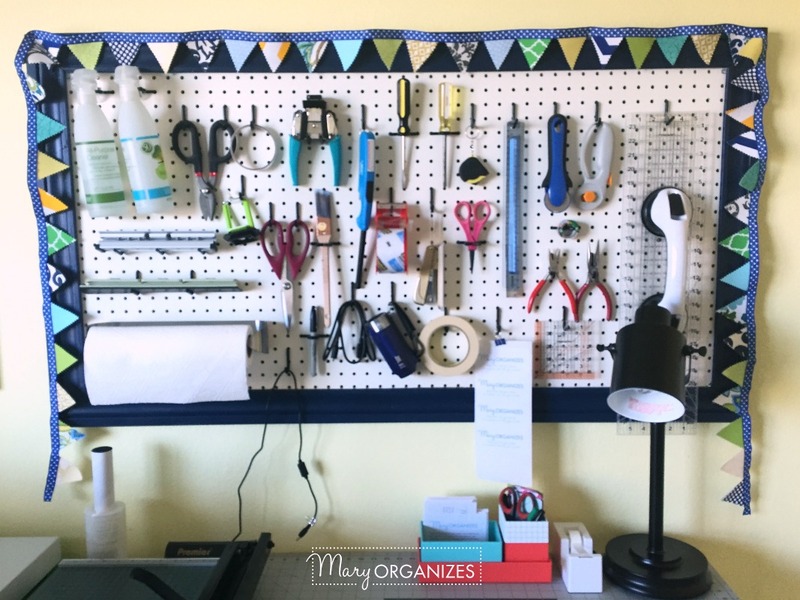 I couldn’t find a paper towel pegboard dispenser, so I bought a cheap one and attached it to the pegboard with mounting tape. The types of tools on here are quite eclectic and reflects the many things that happen in here. 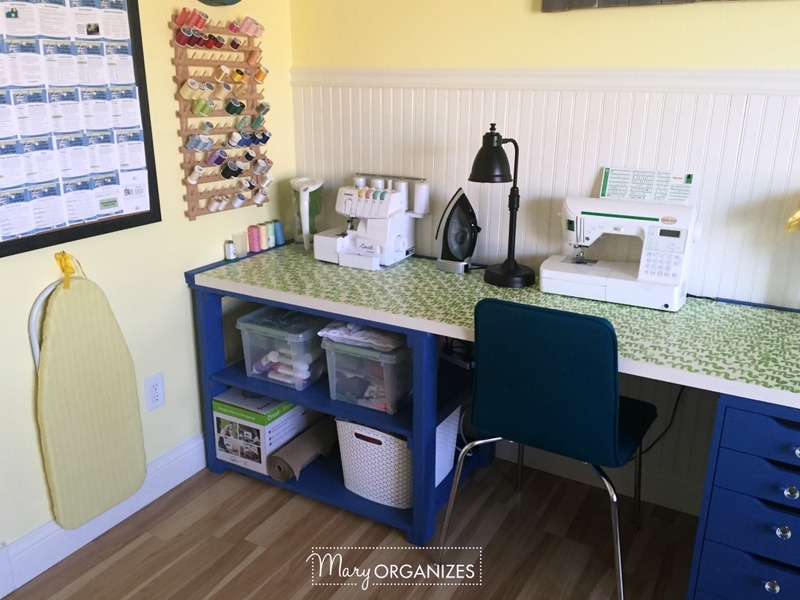 This corner of the room is where a lot of sewing magic happens. I’ve been really into sewing lately. I keep my most frequently used tools on the counter surface for convenience (my serger, iron, and sewing machine). 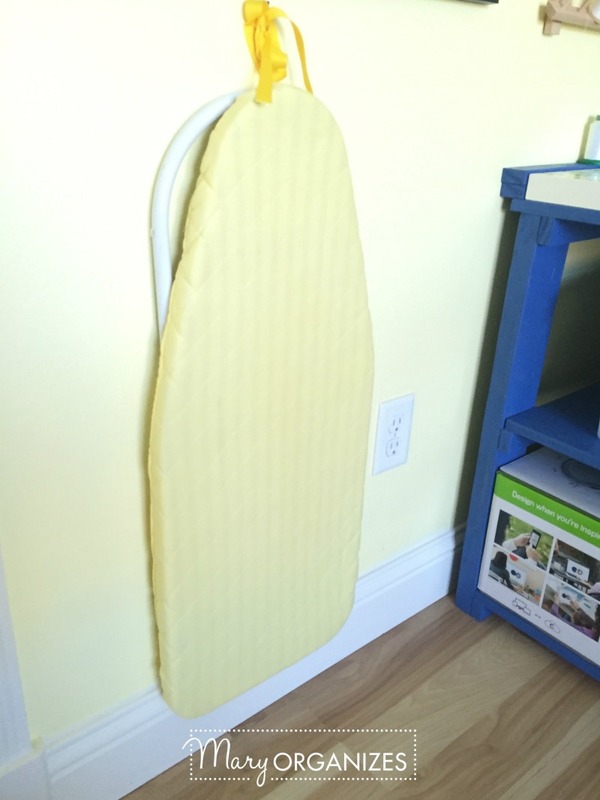 I hang my ironing board on the wall here for easy access when I’m going to sew. 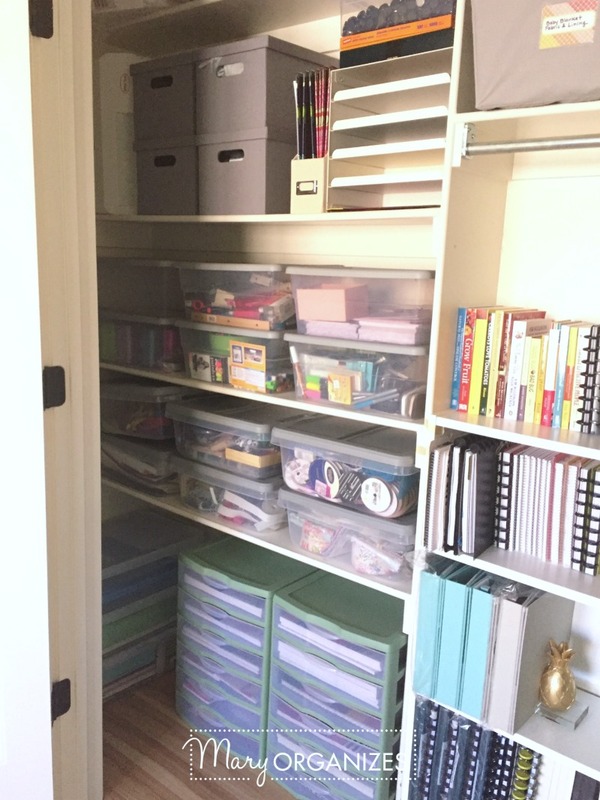 Once again, vertical space for storage really helps a room that has so many functions and tools like craft spaces do. 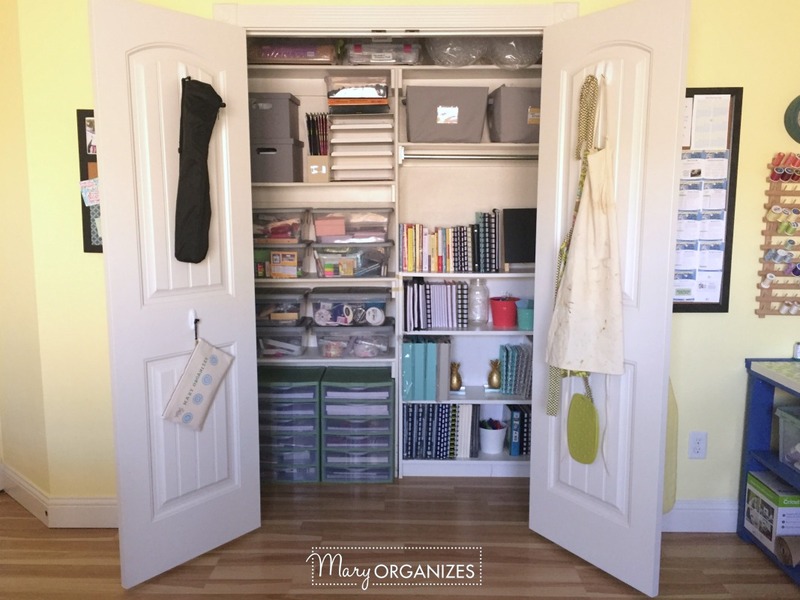 I keep the closet doors closed most of the time to help the room breathe easier and to cut down on the visual clutter. 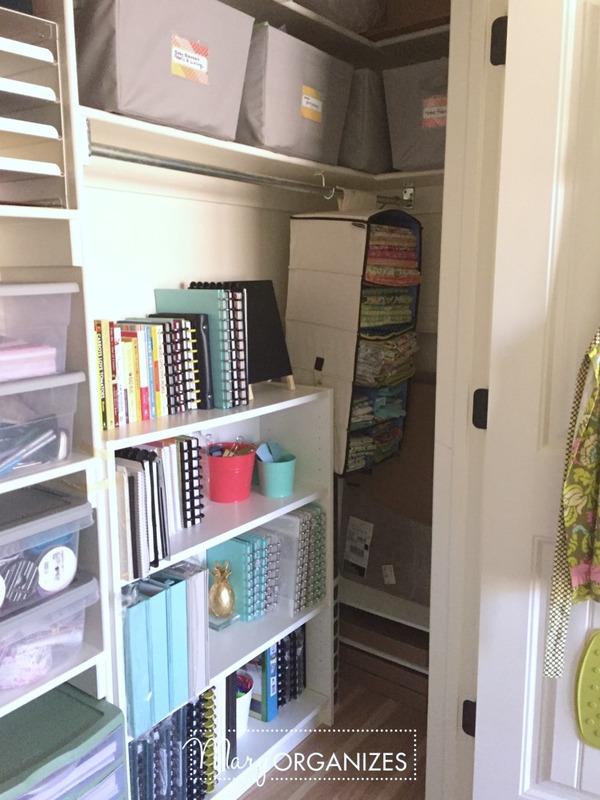 I decided to work with the built-ins that were already in the closet to store things. I need a lot of stuff to fit in this closet AND be easy to get to! I use a lot of clear containers so that I don’t have to label everything. I’ve learned that as projects change and focuses change in my craft room, the contents of the containers change a lot. It was getting hard trying to keep the labels current with my supplies constantly shifting, so clear containers are my answer! 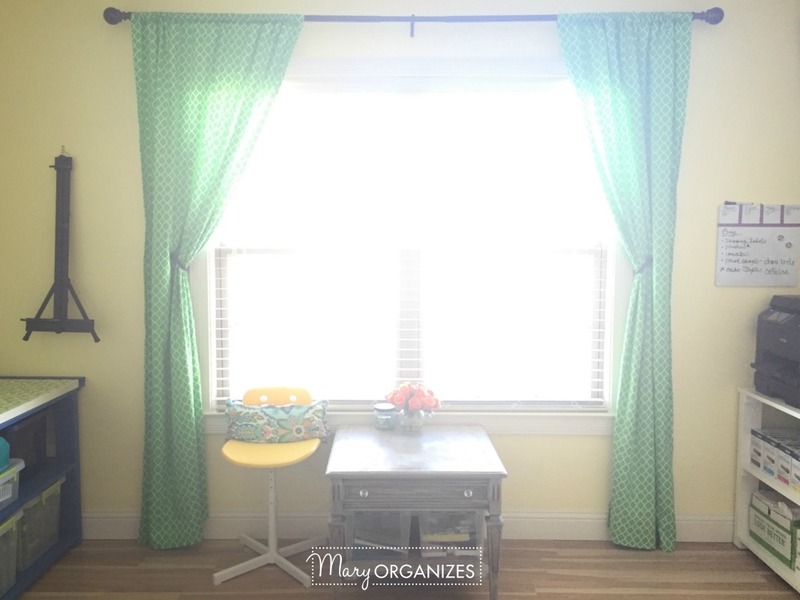 I use the hanging organizer in the corner to store some fabric I use in projects and the containers above have more fabric, but are separated into very specific types: blanket fabrics, current projects, padding/ fusible padding, and then home fabrics I’ve used in curtains/pillows around the house. This view of my Studio is what started me on the process to change the room. I could visualize this and drew a picture early last year that looked just like this. It is surreal that I’ve turned that picture into something that really exists! All of the shelves you see in the room were built by me with the help of my husband. I designed everything and had Home Depot do the wood cuts, but sometimes I needed some of my husband’s muscles to help. Most of it I was able to do myself, which felt so empowering and cathartic early last fall when I was dealing with a lot of grief. 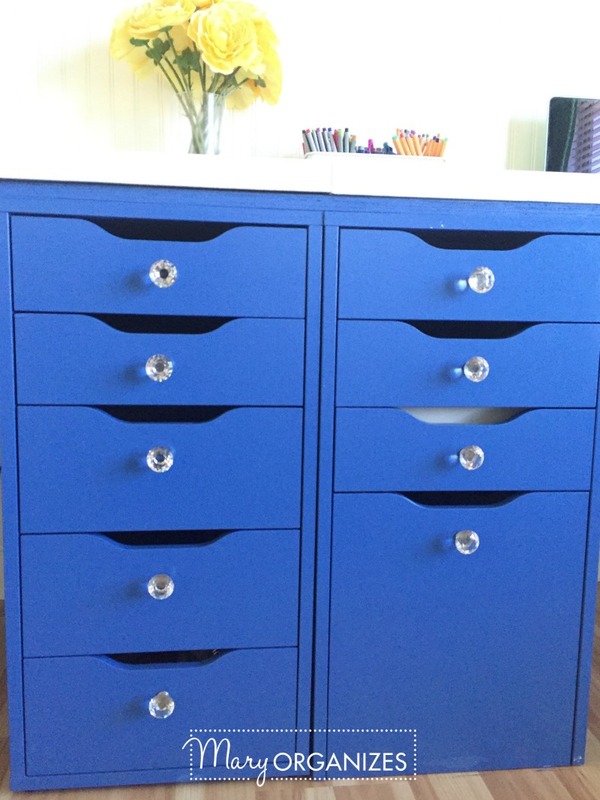 These are IKEA drawers, but I painted them and added drawer pulls. 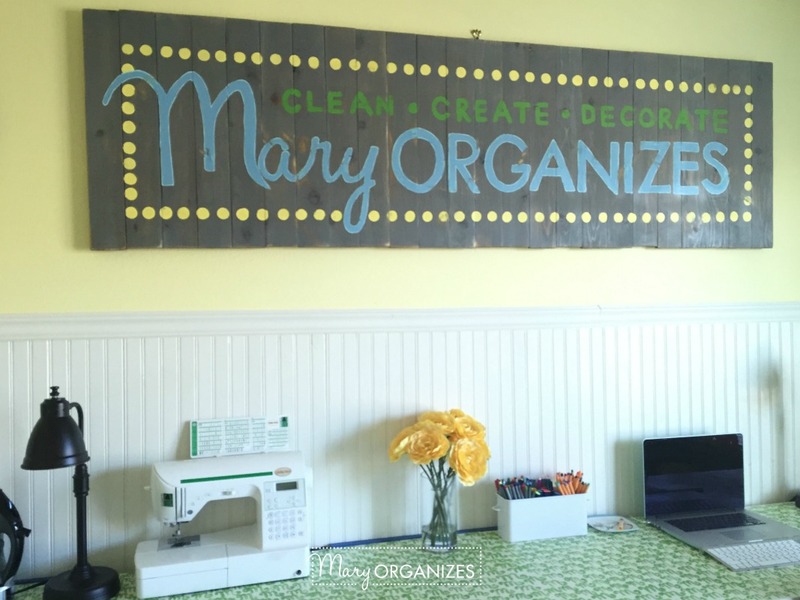 I built and painted this Mary ORGANIZES logo sign. It was a lot of work, but it really adds so much to the room! 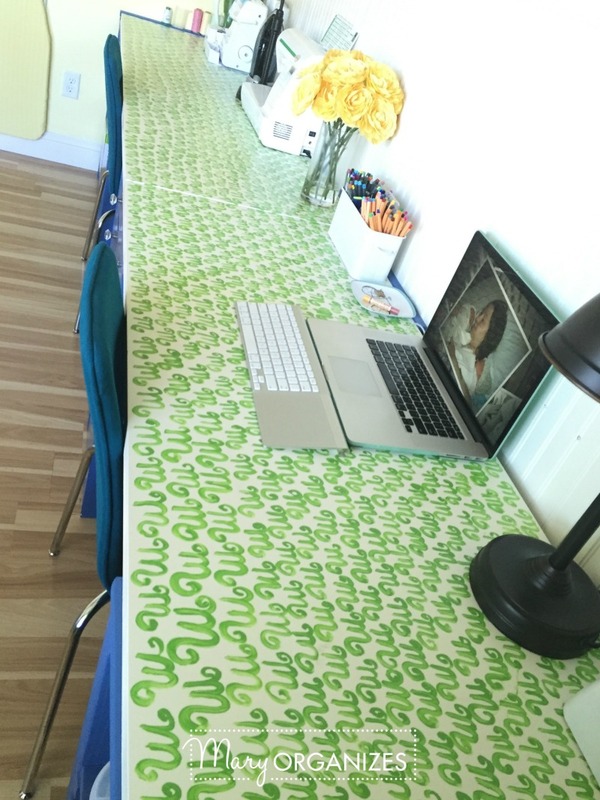 These counters are from IKEA, and I hand-painted these M’s on the table tops and then sealed them in to make the surface flat and smooth (lots of coats of clear spray paint). I didn’t want white counters, because a lot happens on these, and I wanted any scuffs or marks to blend in to a busy pattern. I got what I wanted! You can’t even see all the pen marks and scuffs that are all over this. I hope you’ve enjoyed this peek into my studio! I’m so excited to finally share this room with you!! Awesome! 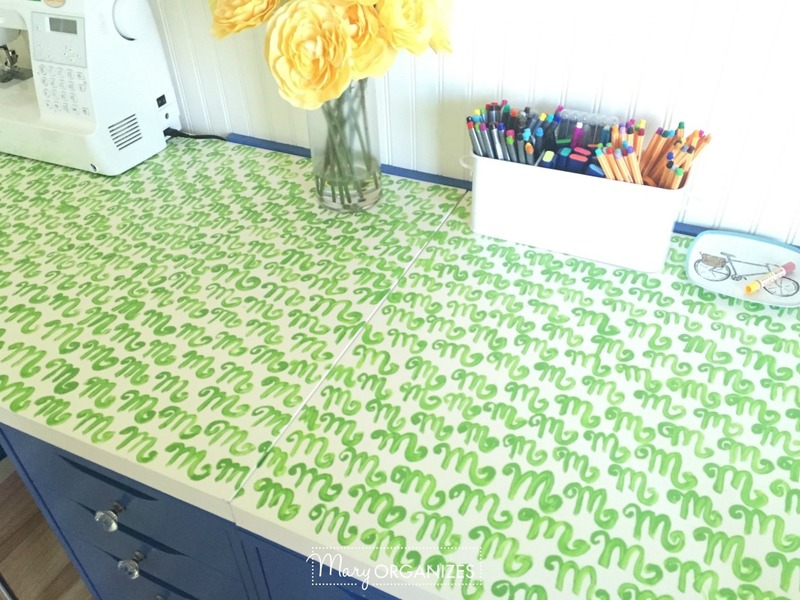 Love the idea of writing your “M” on the counter. Looks functional AND wonderful. Great job, and thank you for sharing! So sorry for the grief you were working through, and glad this project helped. Love It! I too love the idea of the M’s on the counter top. Thanks Mom! Sorry for giving you a mini-lecture on the phone today. I’m so sorry you are hurt. Love you! Thanks, Diane! Your encouragement is priceless! I hope you’ve had such a great trip with your family this weekend! Beautiful! I love it! What kind of paint did you use on the ikea drawers? Wow! This is a dream for sure! And you did it yourself. I am impressed. 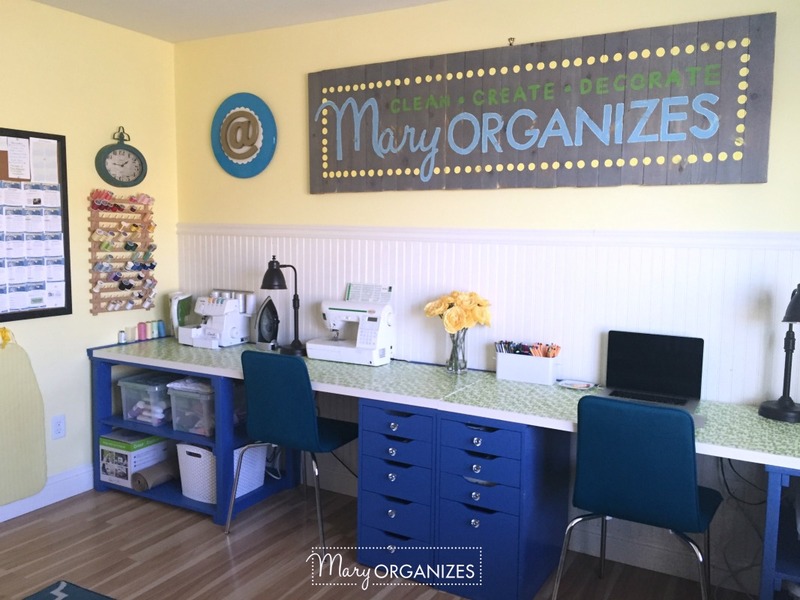 Beautiful craft room and so organized! You did a great job!! 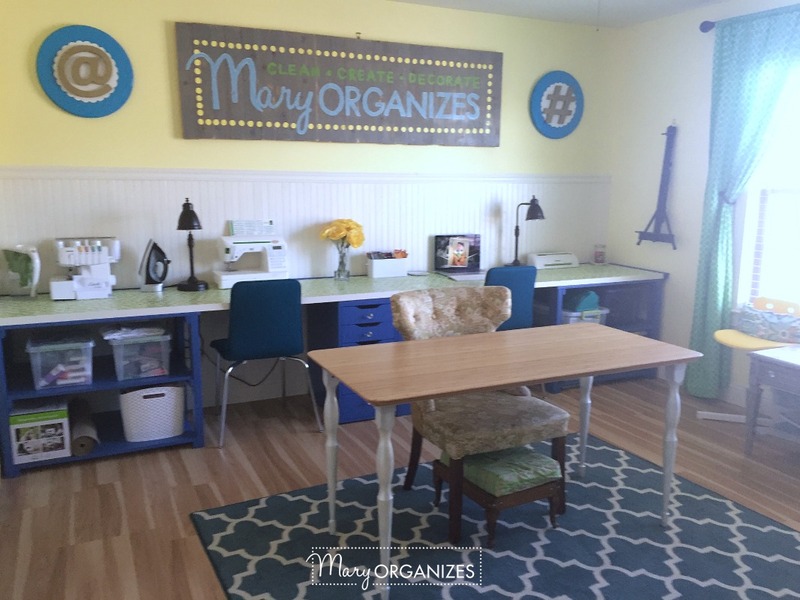 I know I would love working and crafting in that room!! It’s so cheerful and bright. 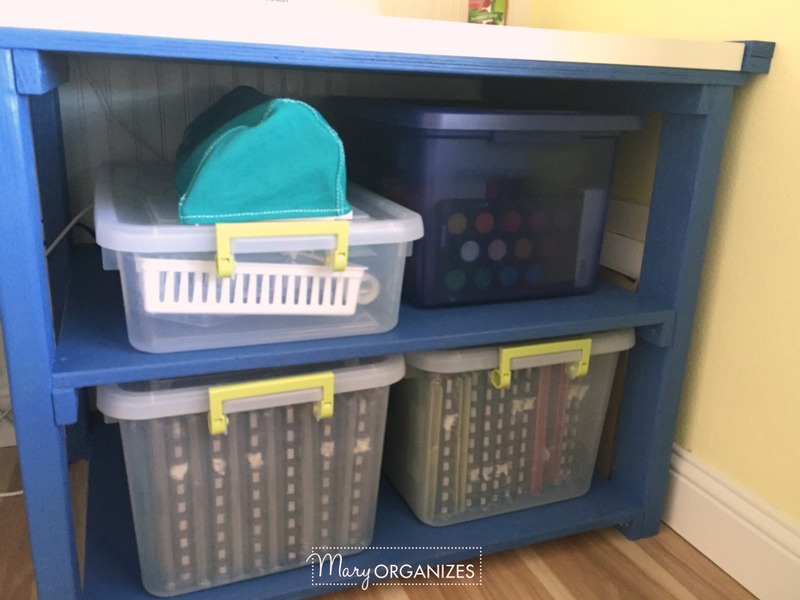 I’m thinking of creating workstations for my kids and was considering doing something like you did with the cabinets under the countertop. What did you use for a countertop? This may be a dumb questions but do you just go somewhere and order something for a countertop the size you need? The countertops are from IKEA because it is the very cheapest way to get a counter! I knew the available sizes of IKEA counters when I designed this side of the room. If you look at my girls’ clubhouse and use their desks as workstation ideas, those also came from IKEA. I built the shelving in here myself but the drawers are IKEA because the IKEA stuff is so affordable. Why do you need/use a second keyboard in front of your laptop? ?